The incumbent of the Oriental Chair has powers peculiar to his station; powers far greater than those of the President of a society or the Chairman of a meeting of any kind. President and Chairman are elected by the body over which they preside, and may be removed by that body. A Master is elected by his lodge, but he cannot be removed by it; only by the grand Master or Grand Lodge. The presiding officer is bound by rules of order adopted by the body and by its by-laws. A lodge cannot pass by-laws to alter, amend or curtail the powers of a Master. Its by-laws are subject to approval by the proper Grand Lodge Committee or by the Grand Master; seldom are any approved which infringe upon his ancient prerogatives and powers; in those few instances in which improper by-laws have been approved, subsequent rulings have often declared the Master right in disregarding them. Grand Lodges differ in their interpretation of some of the “ancient usages and customs” of the Fraternity; what applies in one Jurisdiction does not necessarily apply in another. But certain powers of a Master are so well recognized that they may be considered universal. The occasional exceptions, if any, but prove the rule. The Master may congregate his lodge when he pleases, and for what purpose he wishes, “provided” it does not interfere with the laws of the Grand Lodge. For instance, he may assemble his lodge as a Special Communication to confer degrees, at his pleasure; but he must not, in so doing, contravene that requirement of the grand Lodge which calls for proper notice to the brethren, nor may a Master confer a degree in less than the statutory time following a preceding degree without a dispensation from the Grand Master. The Master has the right of presiding over and controlling his lodge, and only the Grand Master, or his Deputy, may suspend him. He may put any brother in the East to preside or to confer a degree; he may then resume the gavel at his pleasure – even in the middle of a sentence if he wants to! But even when he has delegated authority temporarily, the Master is not relieved from responsibility for what occurs in his lodge. It is the Master’s right to control lodge business and work. It is in a very real sense “his” lodge. He decides all points of order and no appeal from his decision may be taken to the lodge. He can initiate and terminate debate at his pleasure, he can second any motion, propose any motion, vote twice in the case of a tie (not universal), open and close at his pleasure, with the usual exception that he may not open a Special Communication at an hour earlier than that given in the notice, or a Stated Communication earlier than the hour stated in the by-laws, without dispensation from the Grand Master. He is responsible only to the Grand Master and the Grand Lodge, the obligations he assumed when he was installed, his conscience and his God. The Master has the undoubted right to say who shall enter, and who must leave the lodge room. He may deny any visitor entrance; indeed, he may deny a member the right to enter his own lodge, but he must have a good and sufficient reason therefore, otherwise his Grand Lodge will unquestionably rule such a drastic step arbitrary and punish accordingly. “Per contra,” if he permits entry of a visitor to whom some member has objected, he may also subject himself to Grand Lodge discipline. In other words, his “power” to admit or exclude is absolute; his “right” to admit or exclude is hedged about by pledges he takes at his installation and the rules of the Grand Lodge. A very important power of the Master is that of appointing committees. No lodge may appoint a committee. The lodge may pass a resolution that a committee be appointed, but the selection of that committee is an inherent right of the Master. He is, “ex officio,” a member of all committees he appoints. 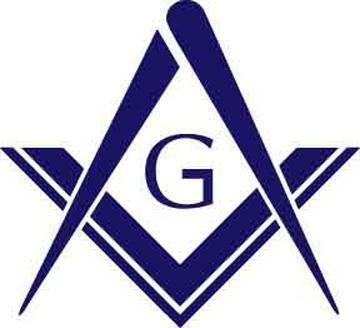 The reason is obvious; he is responsible for the conduct of his lodge to the Grand Master and the Grand Lodge. If the lodge could appoint committees and act upon their recommendations, the Master would be in the anomalous position of having great responsibilities, and no power to carry out their performance. It may now be interesting to look for a moment at some matters in which the Worshipful Master is not supreme, and catalog a few things he may “not” do. The Master, and only the Master appoints the appointive officers in his lodge. In most Jurisdictions he may remove such appointed officers at his pleasure. But, he cannot suspend, or deprive of his station or place, any officer elected by the lodge. The Grand Master or his Deputy, may do this; the Worshipful Master may not. A Master cannot accept a petition, or confer a degree without the consent of the lodge. It is for the lodge, not the Master, to say from what men it will receive an application, or a petition; and upon what candidates degrees shall be conferred. The Master has the same power to “reject” through the “black cube” as any member has, but no power whatever to “accept” any candidate against the will of the lodge. The lodge, not the Master, must approve or disapprove the minutes of the preceding meeting. The Master cannot approve them; had he that power he might, with the connivance of the secretary, “run wild” in his lodge, and still his minutes would show no trace of his improper conduct. But the Master may refuse to put a motion to confirm or approve minutes which he believes to be inaccurate or incomplete; in this way he can prevent a careless, headstrong Secretary from doing what he wants with his minutes! Should a Master refuse to permit minutes to be confirmed, the matter would naturally be brought before the Grand Lodge or the Grand Master for settlement. A Master cannot suspend the by-laws. He must not permit the lodge to suspend the by-laws. If the lodge wishes to change them, the means are available, not in suspension; but, in amendment. An odd exception may be noted, which has occurred in at least one Grand Jurisdiction, and doubtless may occur in others. A very old lodge adopted by-laws shortly after it was constituted, which by-laws were approved by a young Grand Lodge before that body had, apparently, devoted much attention to these important rules. For many years this lodge carried in its by-laws and “order of business” which specified, among other things, that following the reading of the minutes, the next business was balloting. As the time of meeting of this lodge was early (seven o’clock) this by-law worked a hardship for years, compelling brethren who wished to vote to hurry to lodge, often at great inconvenience. At last a Master was elected who saw that the by-law interfered with his right to conduct the business of the lodge as he thought proper. He balloted at what he thought was the proper time, the last order of business, not the first. An indignant committee of Past Masters, who preferred the old order, applied to the Grand Master for relief. The Grand Master promptly ruled that “order of business” in the by-laws could be no more than suggestive, not mandatory; and that the Worshipful Master had the power to order a ballot on a petition at the hour which seemed to him wise, provided – and this was stressed – that he ruled wisely, and did not postpone a ballot until after a degree, or until so late in the evening that brethren wishing to vote upon it had left the lodge room. A Worshipful Master has no more right to invade the privacy which shrouds the use of the “Black Cube” (or Ball), or which conceals the reason for an objection to an elected candidate receiving the degrees, than the humblest member of the lodge. He cannot demand disclosure of action or motive from any brother, and should he do so, he would be subject to the severest discipline from the Grand Lodge. Grand Lodges usually argue that a dereliction of duty by a brother who possesses the ability and character to attain the East, is worse than that of some less informed brother. The Worshipful Master receives great honor, has great privileges, enjoys great prerogatives and powers. Therefore, he must measure up to great responsibilities. A Worshipful Master cannot resign. Vacancies occur in the East through death, suspension by a Grand Master, expulsion from the Fraternity. No power can make a Master attend to his duties if he desires to neglect them. If he will not, or does not attend to them, the Senior Warden presides. He is, however, still Senior Warden; he does not become Master until elected and installed. In broad outline, these are the important and principal powers and responsibilities of a Worshipful Master, considered entirely from the standpoint of the “ancient usages and customs of the Craft.” Nothing is said here of the moral and spiritual duties which devolve upon a Master. Volumes might be and some have been written upon how a Worshipful Master should preside, in what ways he can “give the brethren good and wholesome instruction,” and upon his undoubted moral responsibility to do his best to leave his lodge better than he found it. Here we are concerned only with the legal aspect of his powers and duties. Briefly then, if he keeps within the laws, resolutions and edicts of his Grand Lodge on the one hand, and the Landmarks, Old Charges, Constitutions and “ancient usages and customs” on the other, the power of the Worshipful Master is that of an absolute monarch. His responsibilities and his duties are those of an apostle of Light!